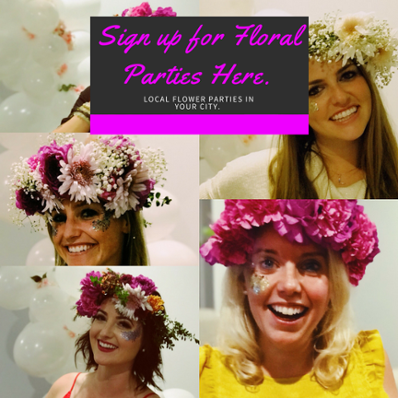 Book Your Flower Party by Filling Out the Form below. Contact Us For flower crown parties and floral parties by filling out the form below. We are here to help you plan your next celebration with Fetes de Fleurs. We offer flower parties for celebrations like bachelorette parties, weddings, bridal and baby showers, birthdays, etc. So just fill out the form and we will be in touch shortly with all the information you need on pricing and how the parties work. We come your airbnb, hotel, house, restaurant, event venue, etc to setup our flower bar and then we teach you how to make flower crowns, floral arrangements and many other floral related activities. We can't wait to flower party with you! ali@fetesdefleurs.com is where you can email us with any questions.